Newly redacted on June 24, 2018 (translation by Jan Kmuníček). Jan Weiss’s great-grandfather, a shoemaker, came from Halič and settled down in the area around Benecko. Jan Weiss’s grandfather was a shoemaker, his father then had a “leather-cutting” business. May 10, 1892 The Weiss family owned a one-storey house in Jilemnice in Valdštejnská street no. 68 where son Jan was born to Josef Weiss, known in Jilemnice as the “Monarch”, and Filoména Richterová, as the second of their five children. 1897 Jan Weiss’s mother died. His father remarried; therefore Jan had from his second, German mother (who, however, did not discriminate among her children) also three step-siblings. Jan Weiss together with his cousin do in Jilemnice such mischief that it has become part of the local tradition. 1905–1913 Jan Weiss studied at the so called “classical grammar school” in Hradec Králové and the so called “real grammar school in Dvůr Králové, where he passed the school-leaving examination.Weiss’s uncle, parish priest in Choteč, arranged for Jan Weiss accomodation in Boromeo in Hradec Králové. 1913–1914 Jan Weiss studies law in Vienna for two semesters. September 1914 Jan Weiss was drafted – after mobilization he spent some time in Pilsen and then was sent to Russian front. Winter 1916–1917 Jan Weiss stays in the POW camp Tockoje (these experiences were captured in his first book The Hut of Death). Spring 1917 Jan Weiss was moved to the lager Berezovka in Siberia where his frozen toes were amputated. There, he joined the Czech legions. He undertook training in Žitomir and after revealing his handicap he was employed in an office. As a legionnaire, Weiss did not take part in any combat and most likely he did not publish anything in the legionnaire magazines. 1918 In Žitomír, Weiss’s first prose pieces originate, reflecting the war and especially the POW experiences. 1918 Through his own poem, Weiss proves his stay in Ufa. 1919 When still in Russia, Jan Weiss also started writing his drama Penza and finished it in Irkutsk. February 1920 Jan Weiss returns to his native country. September 1920 Jan Weiss entered the state service in the accounting department of the Public Works Ministry in Prague, Smíchov. Early 1924 In Cesta, Weiss’s first short story Dream was published, followed by Hands in the literary section of Samostatnost (Národní osvobození). Weiss’s first works were published in Cesta with the help of Mirek Rutte, its editor, including The House of 1000 Floors and Bianka Braselli later on. 1925 In Prague, Jan Weiss meets Jan Havlíček and stays in touch with him until Havlíček’s death in 1943. 1926–1927 Thanks to the care of Josef Masařík, editorial-staff secretary (i.e. the main editor) of Legionářské besedy, Weiss’s play Penza is published there (later on, he was awarded the Czech Academy Award for this work); in the magazine’s second and third years, Weiss is presented as the member of its editorial circle. Rudolf Medek introduces Jan Weiss to the Literary section of Umělecká beseda (Artist Fellowship) and to the Circle of Czech Authors, signing him up as a member. Jan Weiss publishes in the magazine of Umělecká beseda, Lumír. At Umělecká beseda, Jan Weiss meets Karel Sezima, who consequently reviews Weiss’s works. Thanks to Ladislav Plechatý, Jan Weiss contributes to Radio Journal. In Prague, Jan Weiss diligently visits wine and coffee shops – Unionka, Tůmovka (where he met Josef Masařík for the first time), in Lazarská Street, Metro, Slávie (Jindřich Hořejší, Josef Hora, Franta Sauer); only those he misses in Jilemnice later on. 1926 In the Prague coffee and wine shops he used to meet almost daily (since fall 1934) Josef Masařík, eventually the chief editor of Legionářské besedy, Rudolf Medek, and another editor of the Besedy, J. O. Novotný, who was also an editor of the literary magazine Cesta. In a wine shop Jan Weiss met, through talking about Jilemnice, also Jaroslava Rašková (from Nový Bydžov) who was there celebrating passing the state exam in pedagogics. Despite a big age difference (Jan Weiss was born in 1892 while Jaroslava Rašková in 1905) they eventually decided to try it together. 1927 Weiss’s publishing “triple debut”: The Hut of Death, A Mirror that Falls Behind and The Phantom of Laughter are published. September 8, 1928 At the Old-Town town hall, the wedding of Jan Weiss and Jaroslava Rašková took place (the best men were Ladislav Plechatý and Josef Masařík). 1928 The Weisses’ honeymoon in France (Paris, Nice), back through Switzerland, Austria and the Alps. 1928 The Weisses at the time when apartments are scarce receive from factory-owner Grmela in Prague-Libeň in return for ordering furniture from him the keys from their apartment in Podlipného street in Libeň. The Weisses have a crystal receiver and then a “chapel” type radio receiver. June 29, 1929 Daugther Jana was born to the Weisses. 1929 Weiss’s novel debut appears – The House of 1000 Floors. In Beskydy, in Jasení by Jablunkov, a cow ate Jan Weiss’s novel, whose theme eventually split in two novels – The Crime School and A Sleeper in the Zodiac. 1930 Weiss publishes the collection of short stories A Crazy Regiment. 1931 Weiss’s second novel The Crime School and an intimate work Three Dreams of Kristina Bojarová are published. 1934 After reading Götz’s negative review of the novel To be Silent is Gold (1933), Jan Weiss became so angry that he let gas explode in the bathroom. 1934 In Split, during a tour to legionary recreational centre, the Weisses were particularly impressed by Diocletian’s palace. 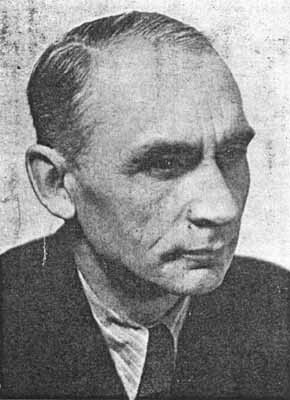 1935 Jan Weiss receives for his novel To be Silent is Gold the Award of City Prague (Jirásek’s award). Afterwards, critic Kopecký (Kauders) writes in Národní politika (newspaper) that the award was won by “Jew Weiss”. Since 1936 The Weisses spend their weekends in Radotín, Lahovská street. 1936–1937 Jan Weiss had the opportunity to receive a scholarship in Italy but did not use it because he was working on A Sleeper in the Zodiac (1937) at the time. 1937 Jan Weiss and his wife repeat (for the third time) their trip to Yugoslavia. This time they are travelling there by a six-seater Dakota plane to Sušak (by half travel price), the second part of the travel price is paid by each of them in the form of “promotional feuilleton”. They stay in legionary resort at Croatia coast near Novi, in a village Povila where the Weisses experience an earthquake. From the local karst caves where he swam underneath, Jan Weiss brought pieces of stalactites. From Povila the Weisses made a boat trip to Venice. 1938 To raise the nation’s hopes at the time of the fascist threat more easily, authors were asked to try flying by a fighter plane in Kbely. Jan Weiss, in contrast with Karel Čapek, who refused, actually flew. During the occupation The meetings of Umělecká beseda are organized under the heading of “family gatherings”. As a legionnaire, Jan Weiss was pensioned off. 1941 Jan Weiss attempts to supply the nation with hope through both the novel He Came from the Mountains and the short-story collection A Furniture Carrier. 1942 Germans threw the Weisses out of their state apartment in Podolí, Na Zlatnici. Afterwards they lived in Radotín, Lahovská street, until 1950. 1943 The novel Miraculous Hands, which originated by editing the novel The Crime School, contemplates the good and evil. 1944 The effort to encourage is evident also from the publishing of Short Stories about Love and Hatred. May 1945 The Weisses experience the liberation of Prague at the Lahovská street above Radotín, where Jan Weiss is captured by Germans during negotiations and liberated by vlasovci. After the war Jan Weiss eventually became the chairman of the Literary section of Umělecká beseda. May 1945 In the Literary section of Umělecká beseda, Jan Weiss and Josef Masařík renewed their communication. Jan Weiss begins to publish in a new magazine of Umělecká beseda, Doba. July 1945 Jan Weiss was able to work again. On July 30, 1945, Jan Weiss was appointed a freeman of the town of Jilemnice. 1946 Unsuitable for publishing earlier, the novel A Call for Help, written during the occupation, is now finally published. April 1946 Marie Majerová asked Jan Weiss for a screenplay to the film Siréna (Siren), which he really wrote and was made into a film. October 1947 Jan Weiss permanently retired as an accounting director. On October 28, 1947, Jan Weiss was appointed an honorary member of SK (Sport Club) Jilemnice. Weiss devotes several articles to the regional problems of the Krkonoše mountains area. Jaromír Horáček, later on a teacher at a medical school in Turnov, wrote his final dissertation about Jan Weiss. After February, 1948, the 1950s For about a year, in spring and fall, Jan Weiss travels through the area around Česká Lípa as its cultural patron. 1950 The Weisses build a terraced house in cooperative housing in Houdova Street in Prague-5, Košíře, and start living there. Jiří Hájek, chief editor of Tvorba, who Jan Weiss knew from Umělecká beseda, rediscovered Jan Weiss. At the beginning, also Milan Schulz writes about Weiss. 1954 After his creative and life search in the new social situation, Weiss publishes a short-story collection Old and New Stories. 1957 Weiss finds a new theme, in which he tries to combine the social demand with his tendency to imagination, and publishes the collection The Country of Grandsons. A trip to Varna in Bulgaria. Jan Weiss’s trip to Vienna together with Bohuslav Březovský. May 10, 1957 Jan Weiss is designated a Merited Artist by František Kahuda. Jan Kristek publishes in the Československý spisovatel publishing house Weiss’s whole work. When travelling to the USSR for the first time, his guide was Jarmila Glazarová. The Weisses brought from the USSR as a fee for the translation of The Country of Grandsons (published in 1959) a TV set, brand Znamja. Jan Weiss himself thought it tiresome and did not watch it much. 1960 The next step of Weiss’s science-fiction prose is the collection Satellites and Star-Sailors. The 1960s The Weisses went to the USSR for the second time because of the fee for the translation of The House of One Thousand Floors. They stayed in a hotel in Moscow, then went by train to Gagra in Caucasus, visited the local House of authors, met Mongolian (i.e. “Soviet”) writers, who they eventually keep in touch with, the authors sending their books to Weiss. When 60, 65, Jan Weiss still skies. May 10, 1962 Jan Weiss was awarded the Order of Work. 1963 The last in the series of “socialist science fictions” is the collection Guessing about the Future. Early 1964 Jan Weiss after a crushing critique of his science-fiction works published by Oleg Sus stops writing. Karel Bogar from the local-history museum in Frýdek-Místek wrote his final dissertation about Jan Weiss. March 7, 1972 Jan Weiss dies.